Are you looking to start a career? 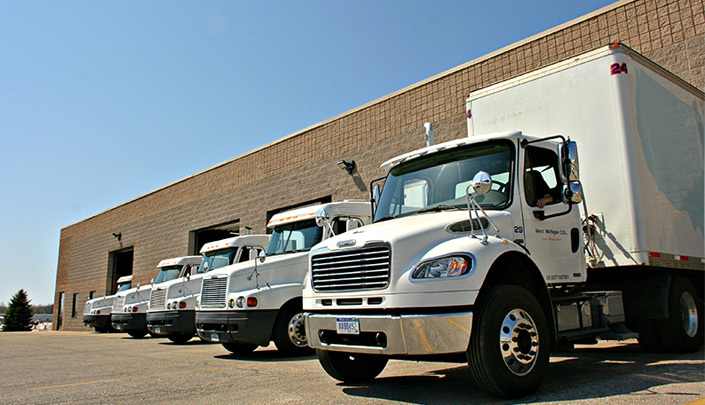 West Michigan CDL offers the residents of Belding with top of the line CDL training for a reasonable price. WMCDL is a CDL license school that will provide you with everything necessary to get a career started in the commercial driving industry. Our CDL school will give you one on one personal instruction along with the most behind the wheel experience in Michigan. WMCDL has a CDL training program that is recognized as the best in the state! If you want to obtain your CDL, then the next step is attending the top CDL license school. WMCDL makes CDL training and testing easy with the support of the most experienced instructors. Kentwood, Michigan is a city in Kent County and has a population of 48,707. When the residents of Kentwood want CDL training from the best CDL school in West Michigan, they know to contact WMCDL. Get CDL training near you at WMCDL! If you want to get started towards a different career path, contact WMCDL to ask about our CDL classes. The instructors at WMCDL will give you insight on how to handle real-life situations with on road CDL training. WMCDL is known for our flexible CDL classes which can be taken during the day, night and even weekends. As a devoted CDL license school, we provide job placement after you’ve completed your CDL training. To request free information about our CDL training program, call West Michigan CDL at (888) 550-4947!